It's been a busy day and the traffic on the beltway has not been easy. As I headed towards Rockville I yearned to relax over a nice Indian meal and a Kingfisher beer. Indian food can also be enjoyed in a tapas style eating - Achari Chicken Taco, Stuffed bread and a samosa are a great combination. We always consider restaurants as celebratory and eat a lot. To me Indian food is home and I enjoy the Dal Makhni with a couple of rotis - not haute cuisine but still carve for dishes. 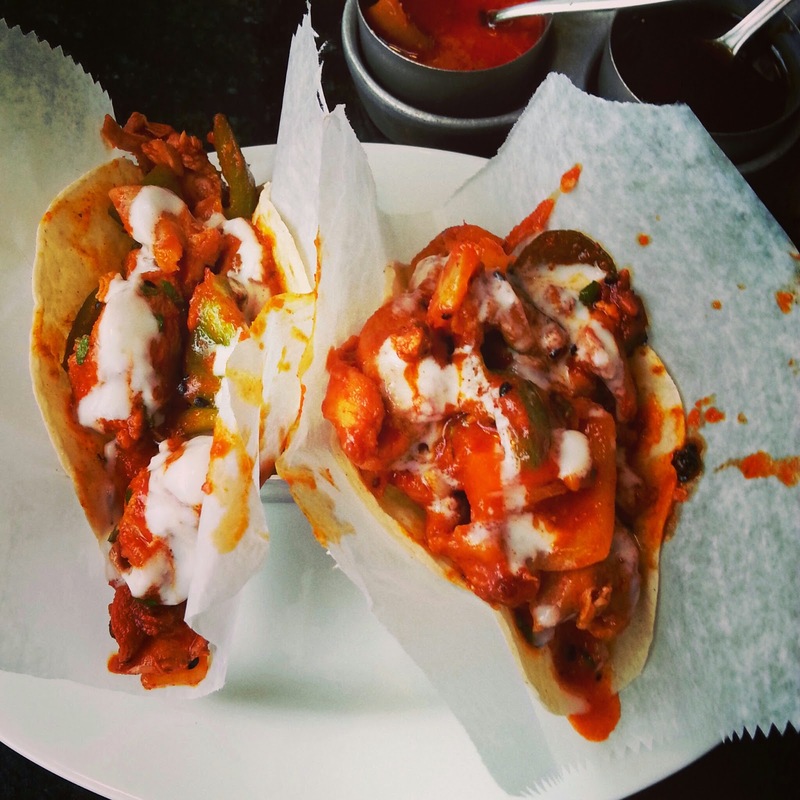 For vegetarians who want to enjoy the Achari Chicken Taco, try asking for Paneer Taco ( Cottage cheese). I had a meal once again at Bombay Bistro and applaud the chefs. 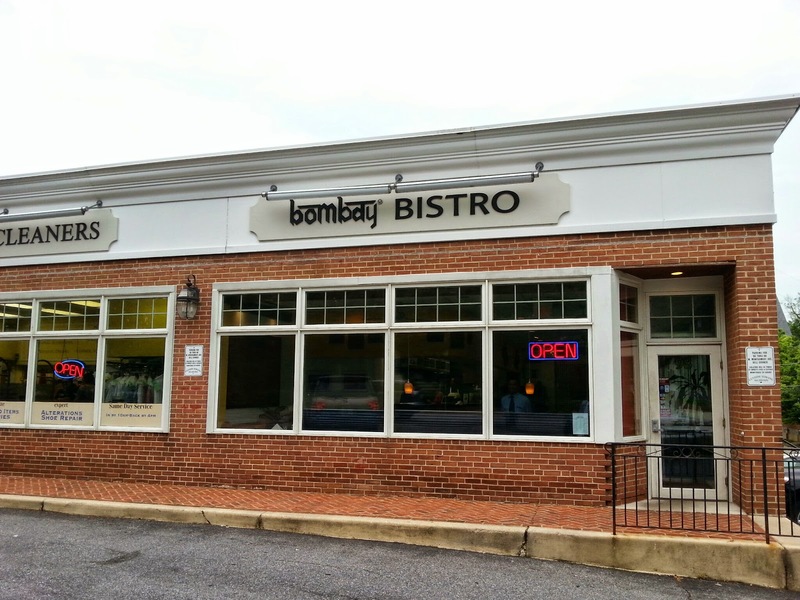 Stay around Rockville, hope you have eaten at the Bombay Bistro.